The accreditation will extend through November 2015. This achievement is an indication of the dedication and commitment to improving the quality of the lives of the persons served at NEFSH. Our accreditation letter also acknowledges that the "Services, personnel, and documentation clearly indicate an established pattern of practice excellence". This marks the second time that NEFSH has received a CARF accreditation. In November of 2009 NEFSH received a three year CARF accreditation that extended though November of 2012. Since 1992, 34 organizations have received the Governor's Sterling Award (GSA) for significant improvement and achievement of performance excellence. The GSA is based on the application of the Sterling Criteria for Organizational Performance Excellence, which is in turn based on the internationally acclaimed Baldrige Criteria for Performance Excellence. 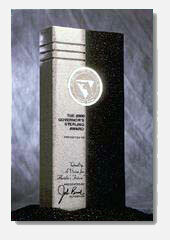 The Governor's Sterling Award is recognized as the preeminent state award process in the nation. The Davis Productivity Awards recognize and reward state government employees whose work significantly and measurably increases productivity and promotes innovation to improve the delivery of state services and save money for Florida taxpayers and businesses. The program is a major government improvement initiative sponsored by Florida TaxWatch, The Florida Council of 100, and the State of Florida. Northeast Florida State Hospital received a "Sustained Exemplary Performance" award. This award is underwritten by PRIDE Enterprises and salutes individuals, work units, institutions and districts that have won multiple Davis Productivity Awards for continuing excellence since the program's beginning in 1989. Northeast Florida State Hospital recently received a plaque in recognition for Monitoring Individuals on Continuous Observation with a cost savings of $738,628. The facility also received a Certificate of Commendation for its In House Medical Clinic Services, with a cost savings of $323,754. Northeast Florida State Hospital has received some 224 Davis Productivity Awards over the past 21 years.